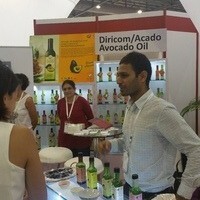 Hope everyone enjoyed the three-day palate-pleasing event with great food. 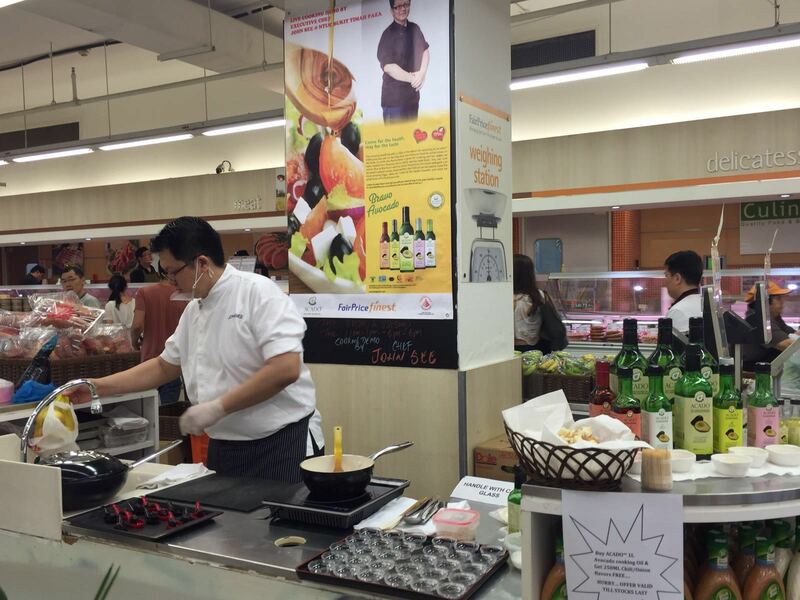 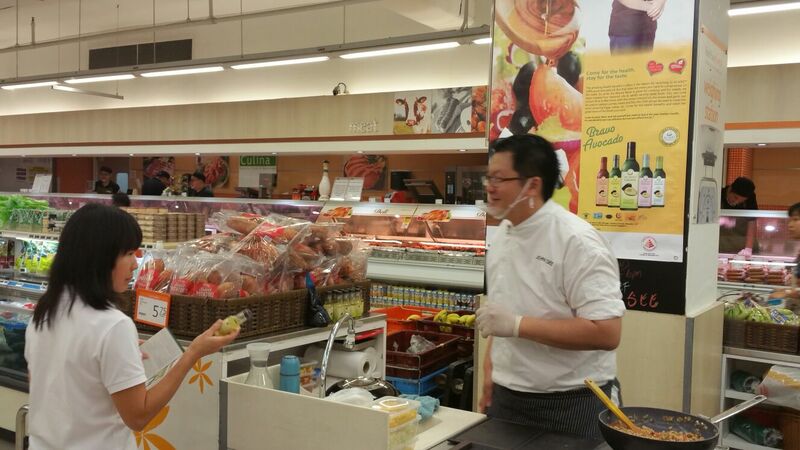 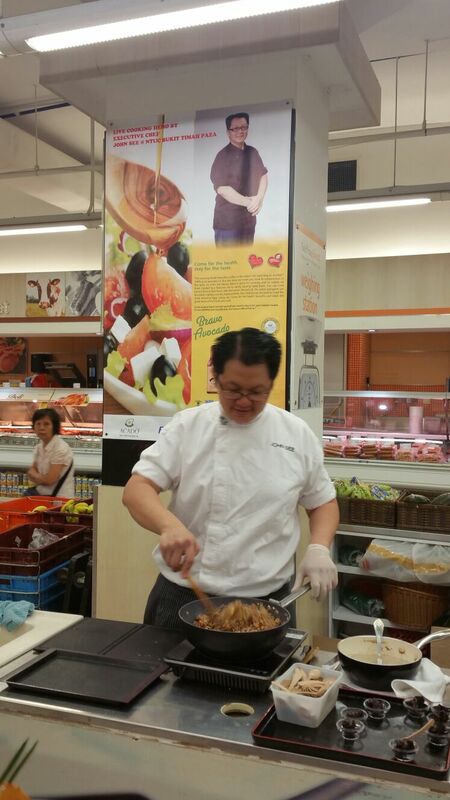 Live Cooking Demo by Executive Chef John See was held at Bukit Timah Plaza NTUC on Saturday, May 21st and Sunday, May 22nd. 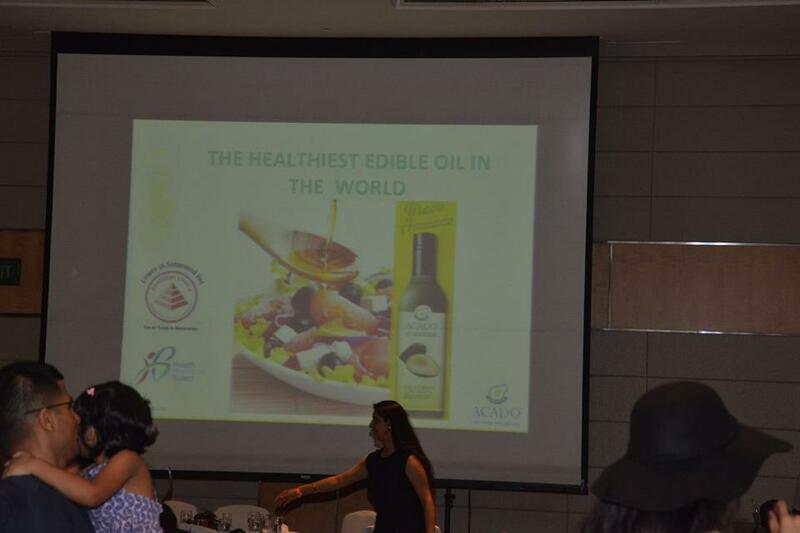 We thank everyone who came and joined the cooking event and got introduced to wonderful benefits of healthy cooking with ACADO™ Avocado oil. 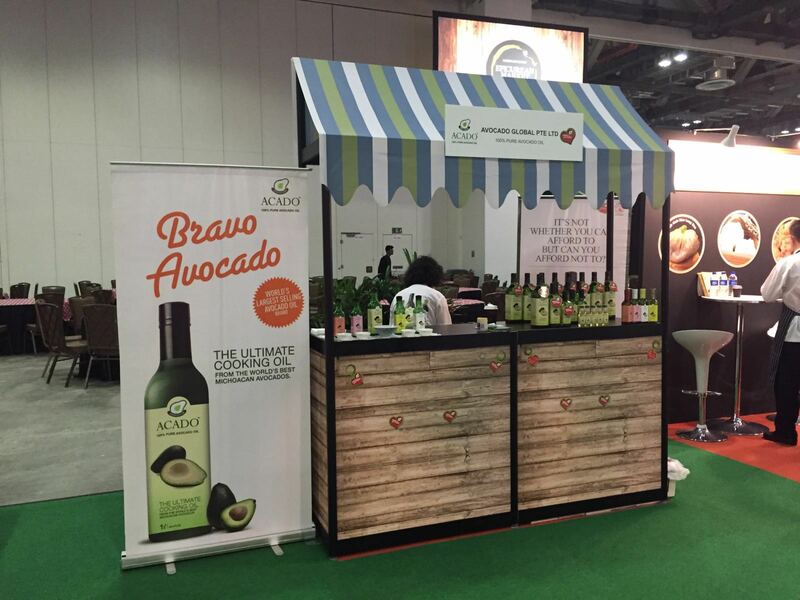 The 20th edition of Food & Hotel Asia 2016 (FHA 2016) was held at Singapore Expo from 12 - 15 April 2016. 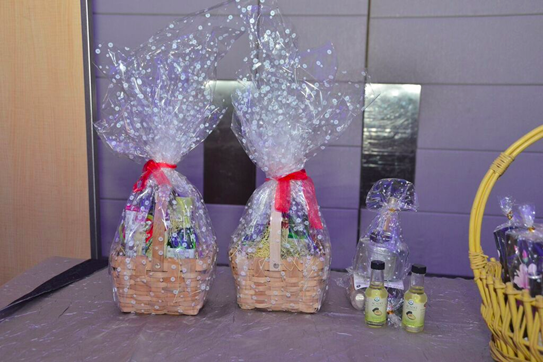 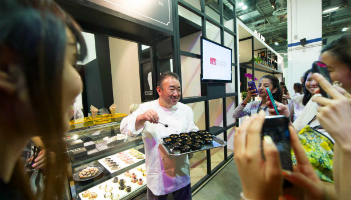 The event bought a myriad of food and hospitality products along with a series of activities including culinary competitions and insightful conferences. 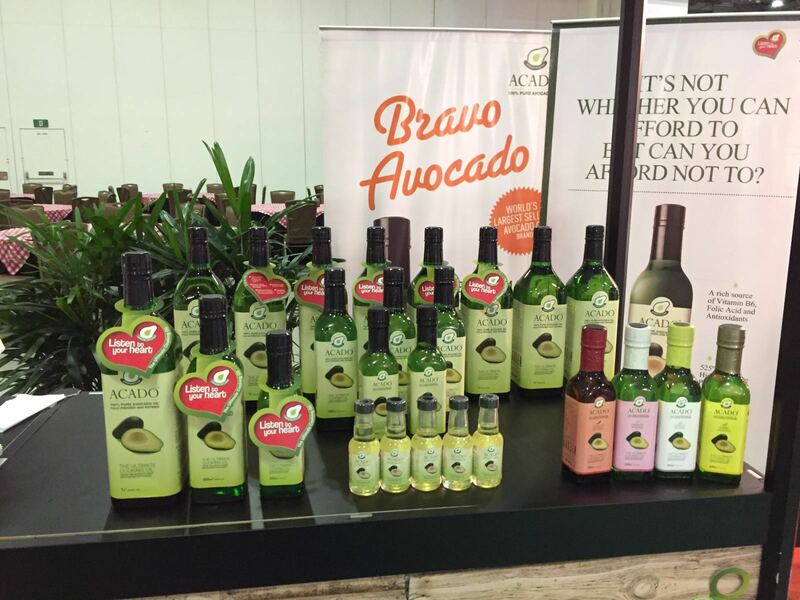 ACADO™ was thrilled to be there and we thank everyone who got introduced to wonderful benefits of healthy cooking with ACADO™ Avocado oil. 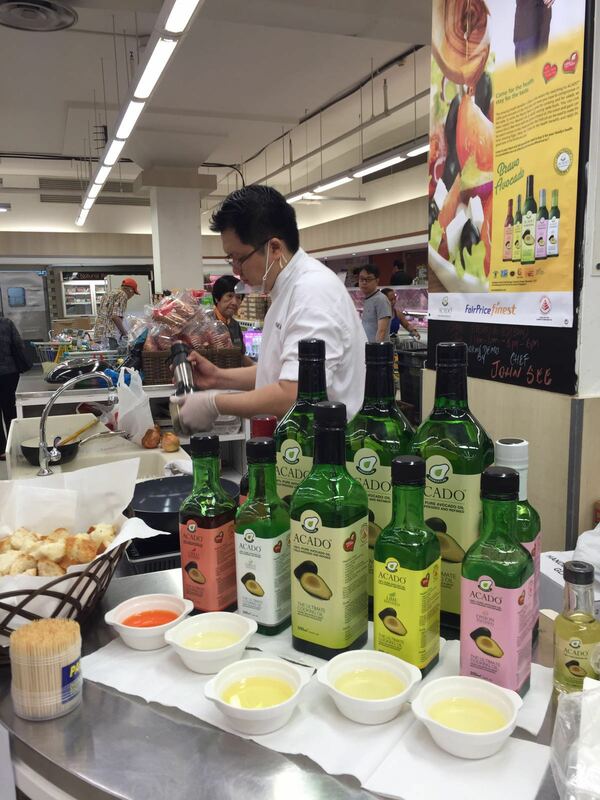 Latin American Fair 2016 was held from 6 - 10 April 2016 at Big Box Convention Hall, Singapore. 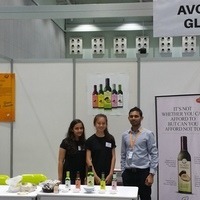 The event was organized by The Latin American Chamber of Commerce, Singapore. 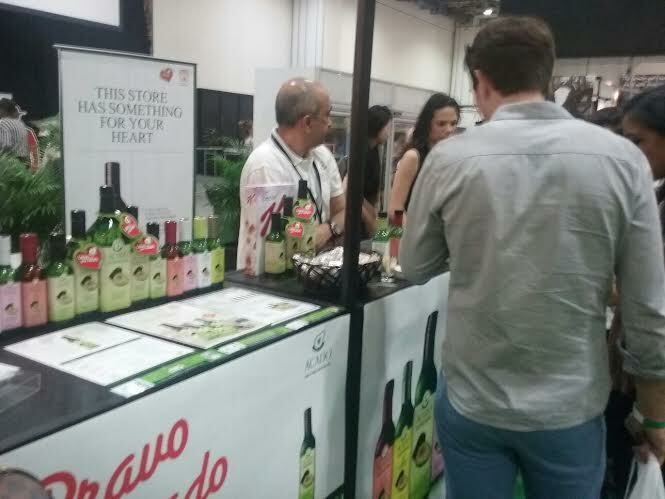 The event offered the authentic taste of Latin American cuisine, special recipes from Award-winning chefs, workshops and conferences. 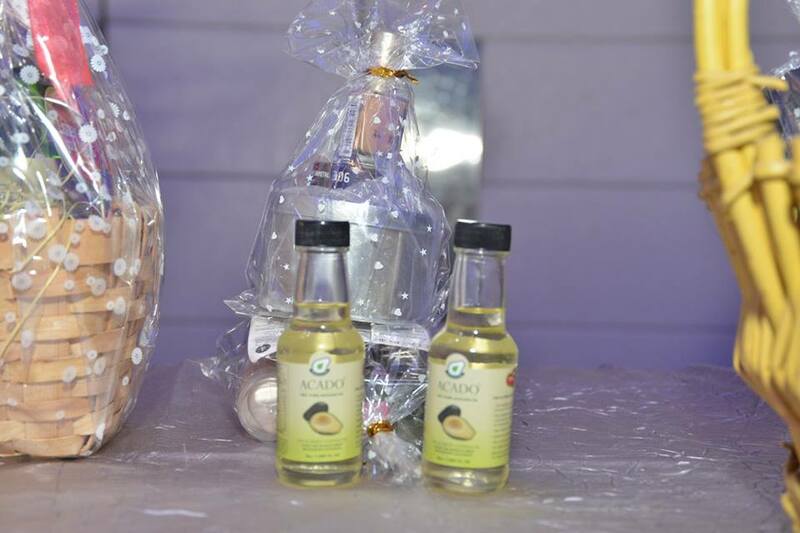 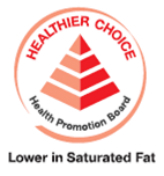 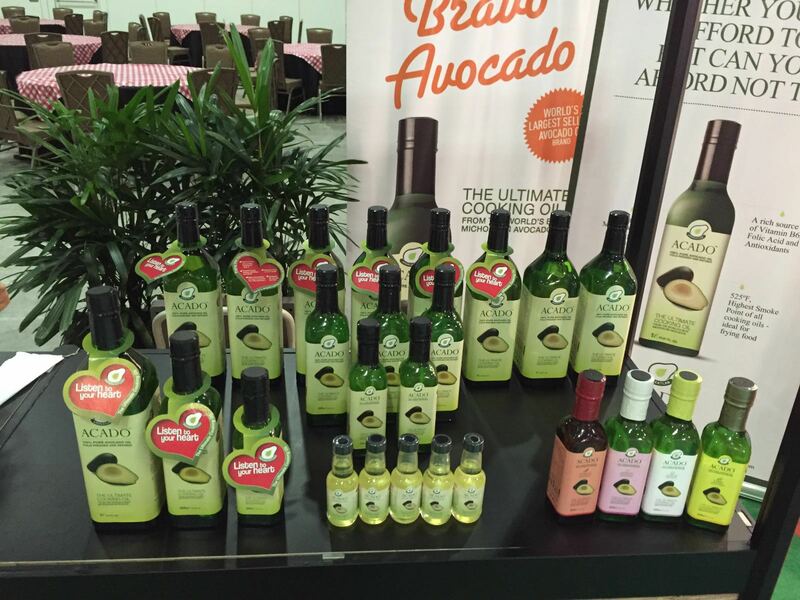 We thank everyone who attended the fair and got a taste of ACADO™ Avocado cooking oil and walked away with a sense of what a healthy cooking oil should be like. 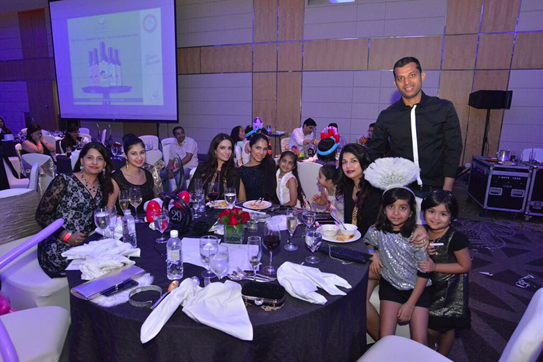 The Biggest and Grandest party of the year, Bollywood New Year, was held at the luxurious Pan Pacific Hotel. 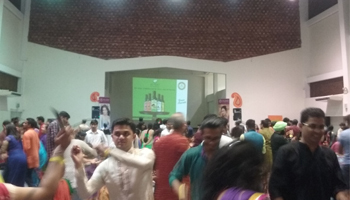 Everyone enjoyed the the Bollywood themed music with sumptuous food. 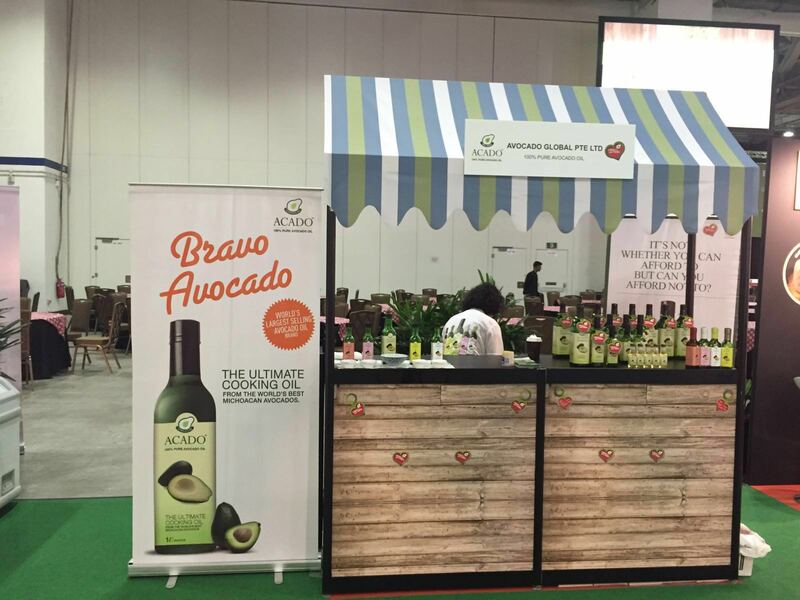 ACADO™ was thrilled to be there and we thank everyone who got introduced to wonderful benefits of healthy cooking with ACADO™ Avocado oil. 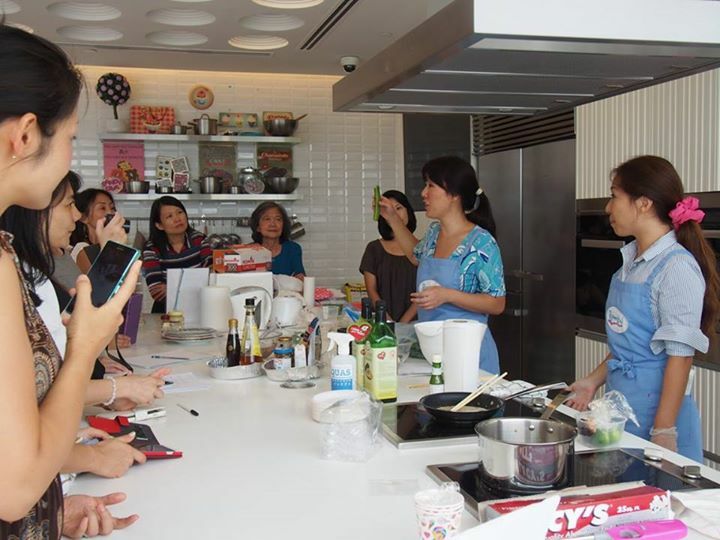 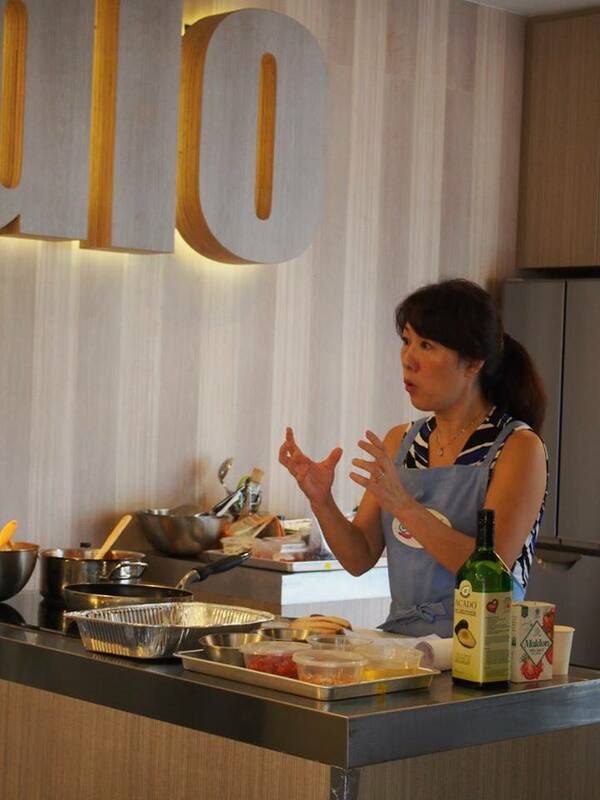 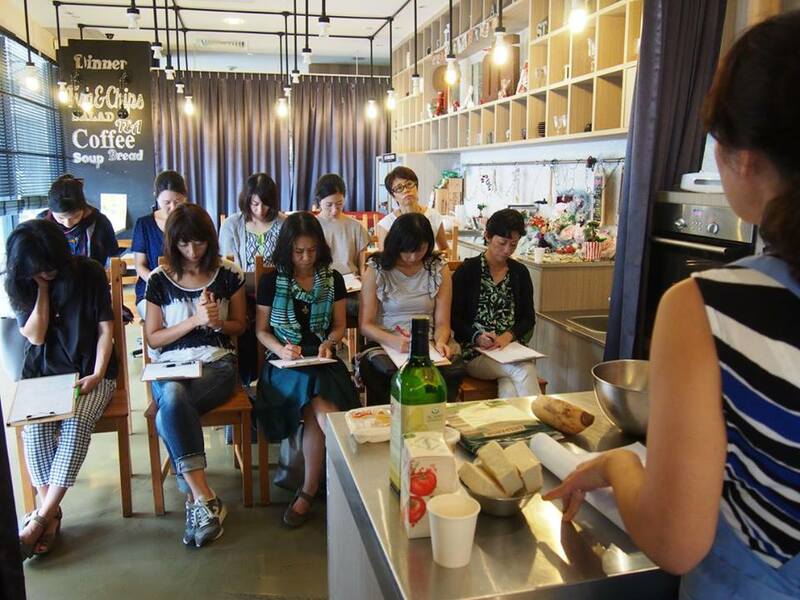 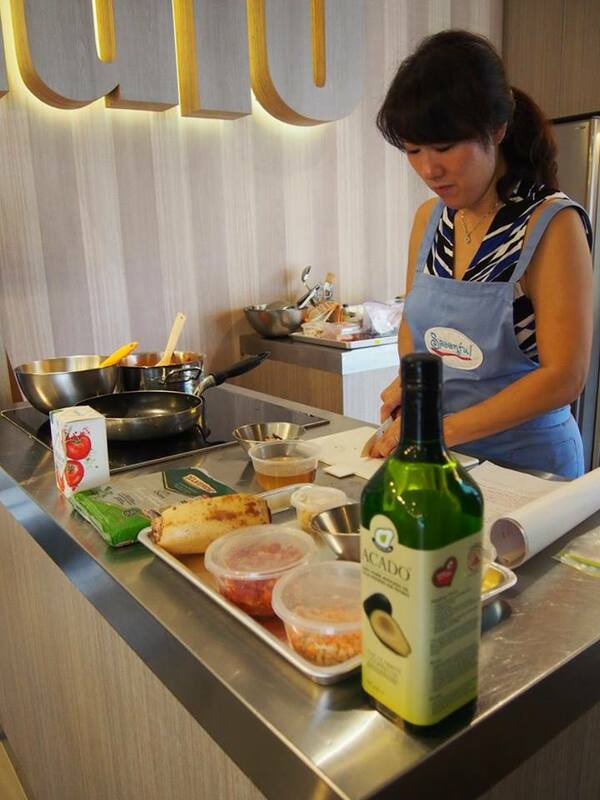 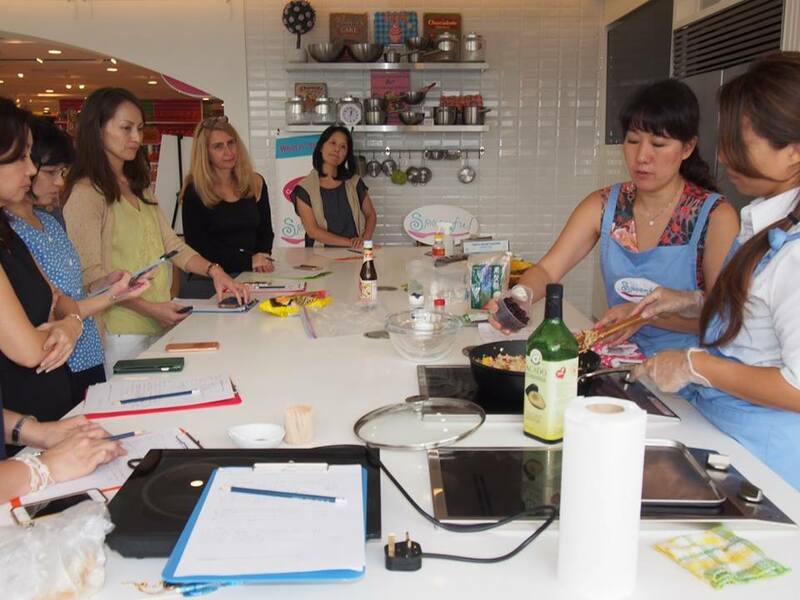 Spoonful SG held Japanese cooking classes on 02nd December 2015, at Dulcet Studio, Liang Courtand and on 11th December, 2015 at Candylicious Cooking Studio, Vivo City. 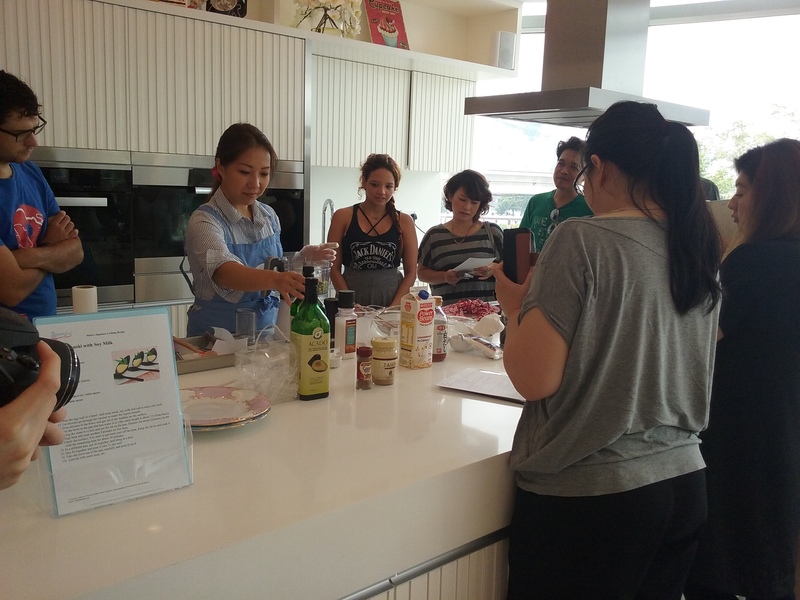 The events offered a lesson on a three course Thai cuisine which was provided by the Spoonful’s Thai cooking specialist, Mizue. 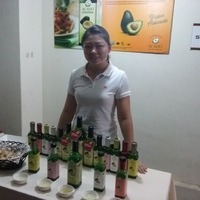 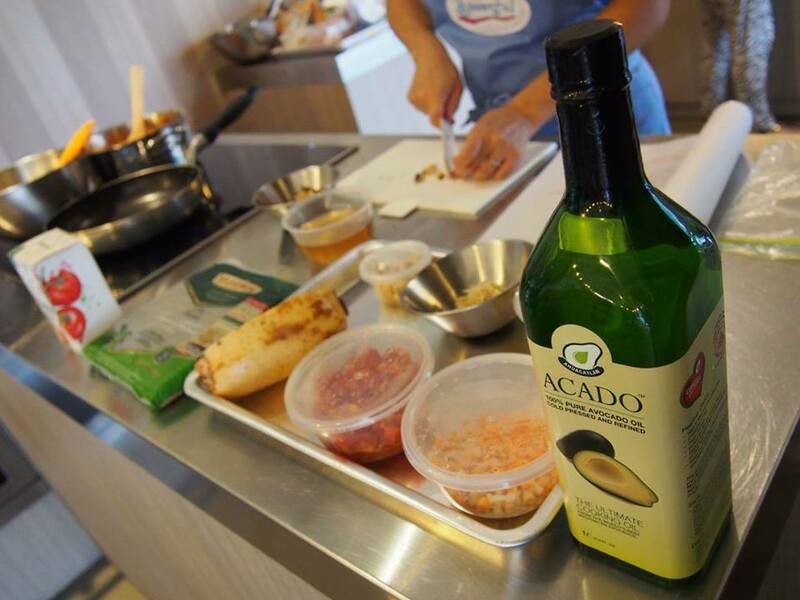 We thank everyone who attended the class and got a taste of ACADO™ Avocado cooking oil and walked away with a sense of what a healthy cooking oil should be like. 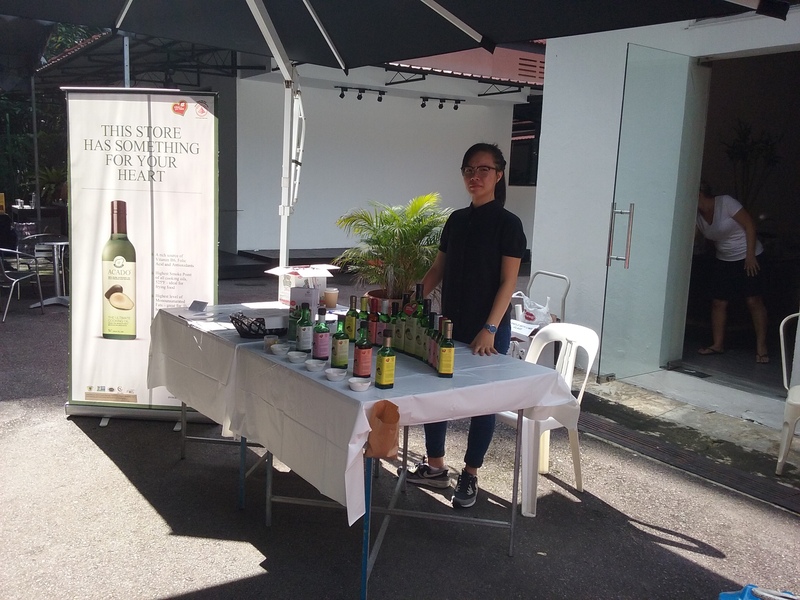 Latin American Christmas Bazaar will be held at Myra’s at Fort Canning Park, on December 06, 2015 from 12pm to 8pm. 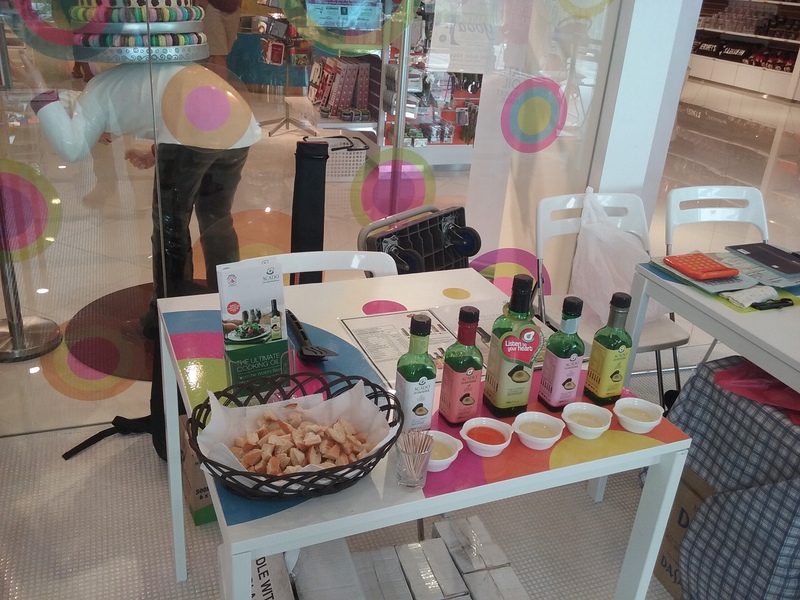 Enjoy Latin American delicacies along with Christmas shopping. 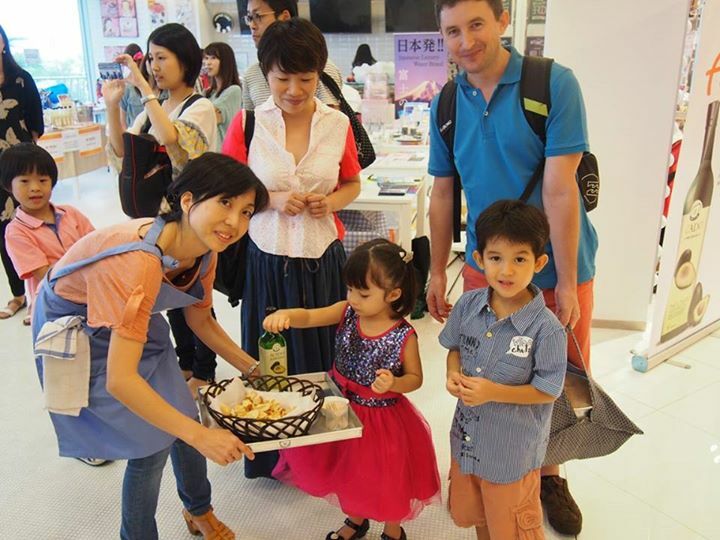 Don’t forget to drop off your kids at the Kids Club for all the fun activities. 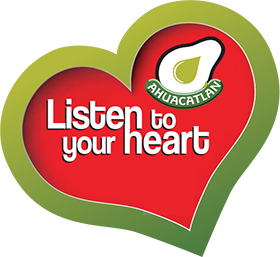 While there, pop by ACADO’s stall for a healthy surprise for your heart! 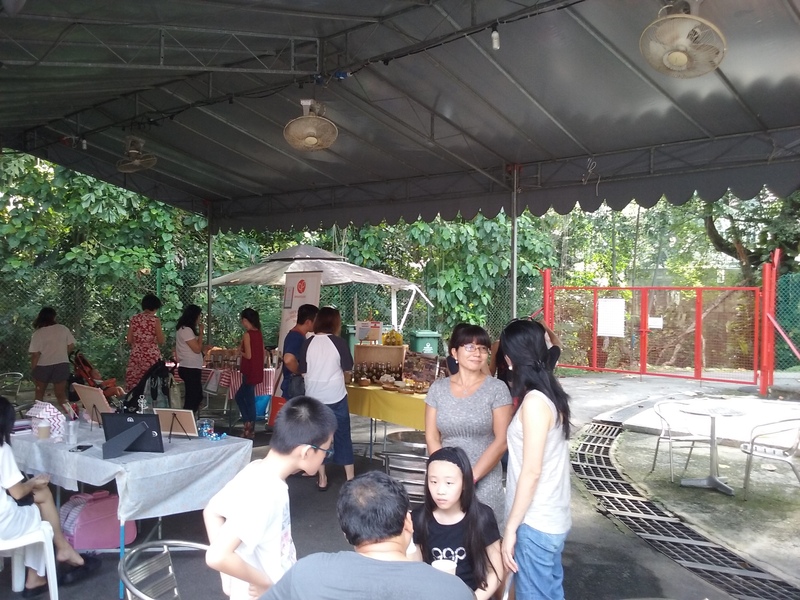 Christmas Farmers Market was held on December 05, 2015. 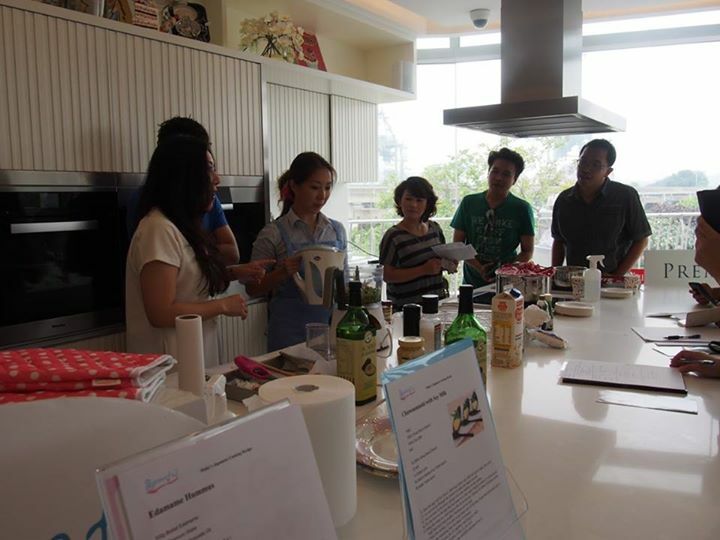 It offered a variety of gourmet meat and homemade baked goods with pleasant Christmas songs. 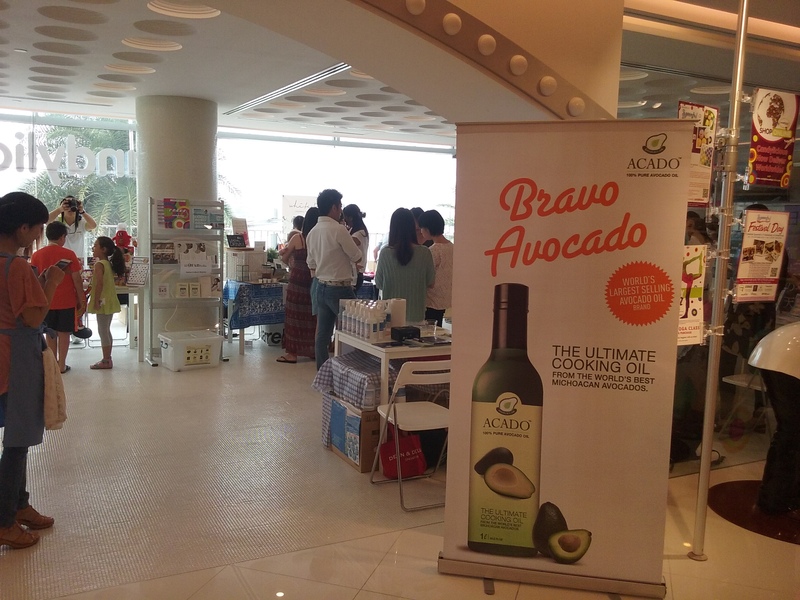 ACADO made its presence felt in the last Farmer's Market of the year. 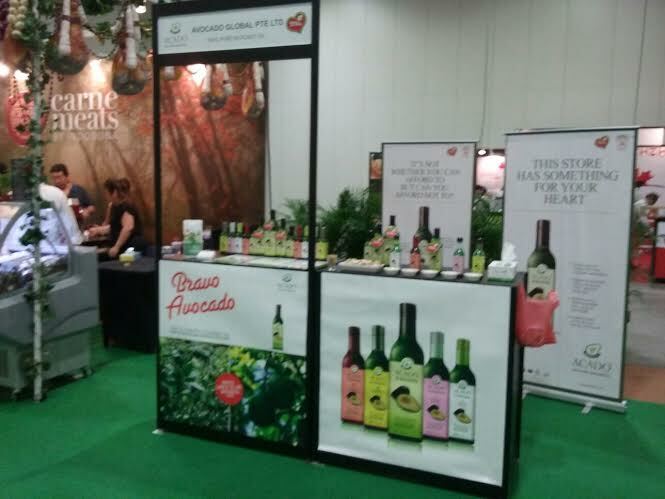 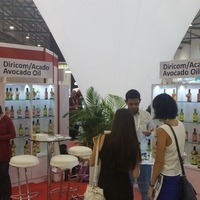 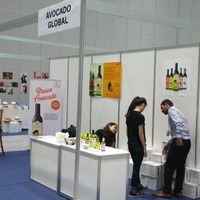 We were pleased to welcome a large number of visitors to our booth and introduce them to the wonderful benefits of healthy cooking with ACADO avocado oil. 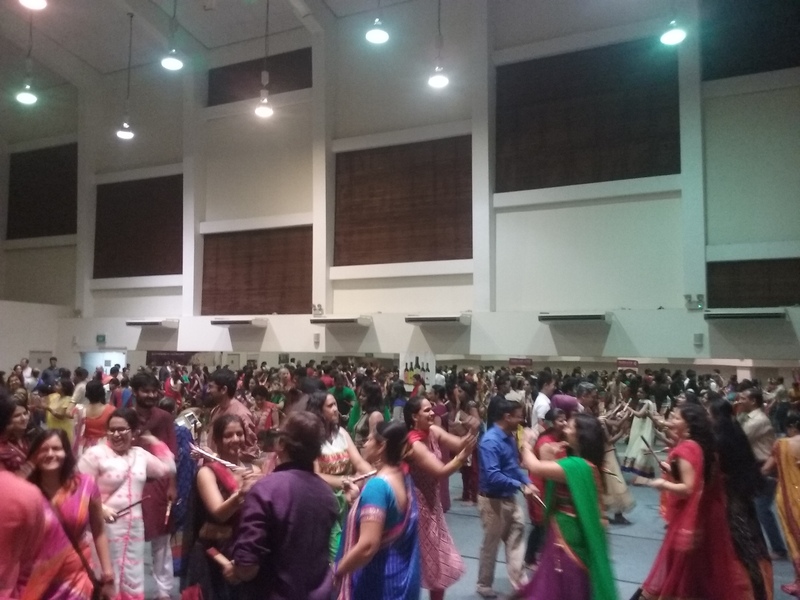 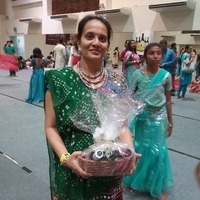 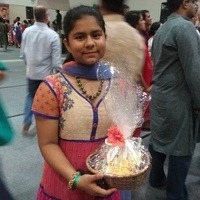 The fantastic Bollywood Dandiya Nite last Friday and Saturday (October 16 & 17) was simply superb: amazing energy and everyone dazzled in their colorful traditional attire. 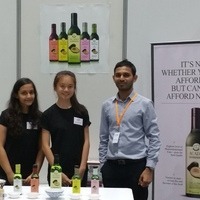 ACADO™ was thrilled to be there and we thank everyone who visited our stall, got a taste of our different flavors and walked away with a sense of what a healthy cooking oil should be like. 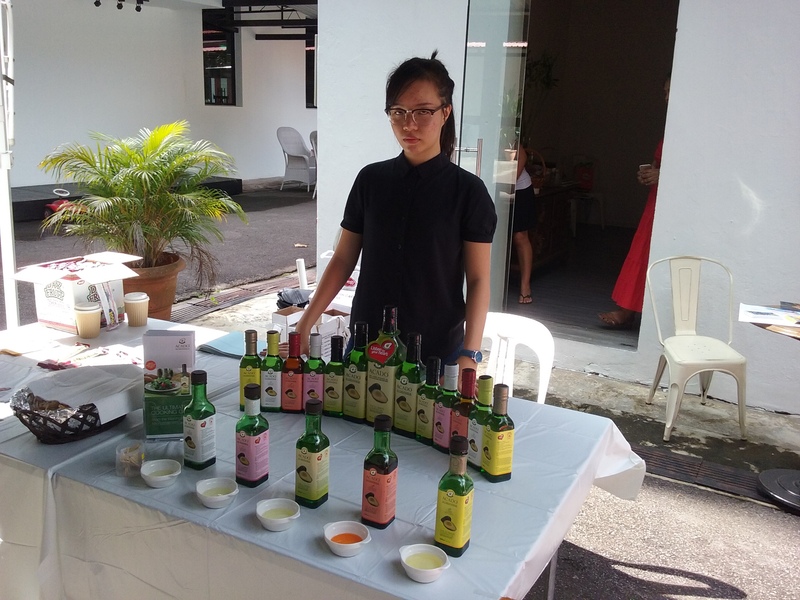 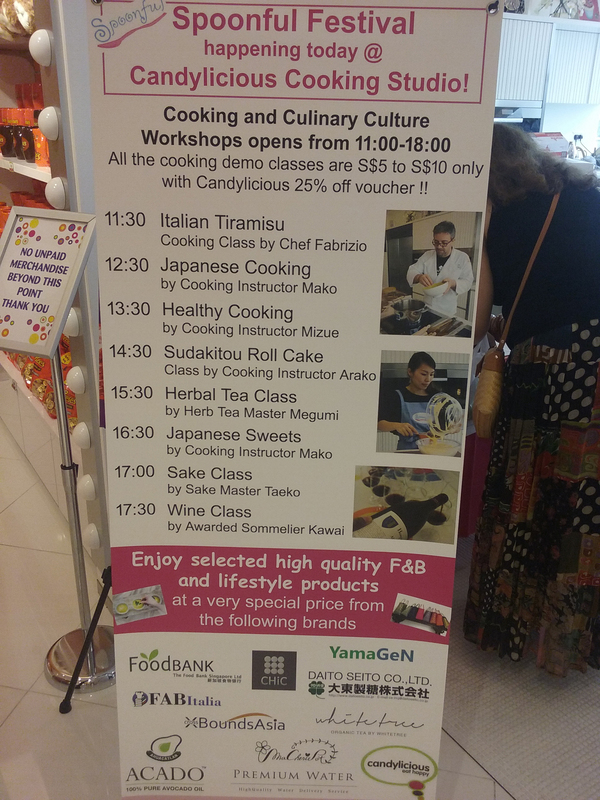 The Spoonful Festival, was held on Saturday, September 12, 2015 at Candylicious Cooking Studio, Vivo City. 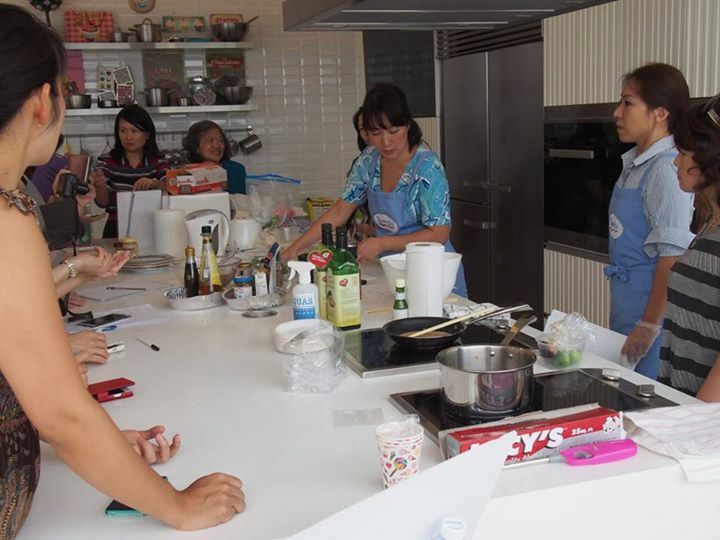 The event offered a wide range range of culinary culture classes and workshops. 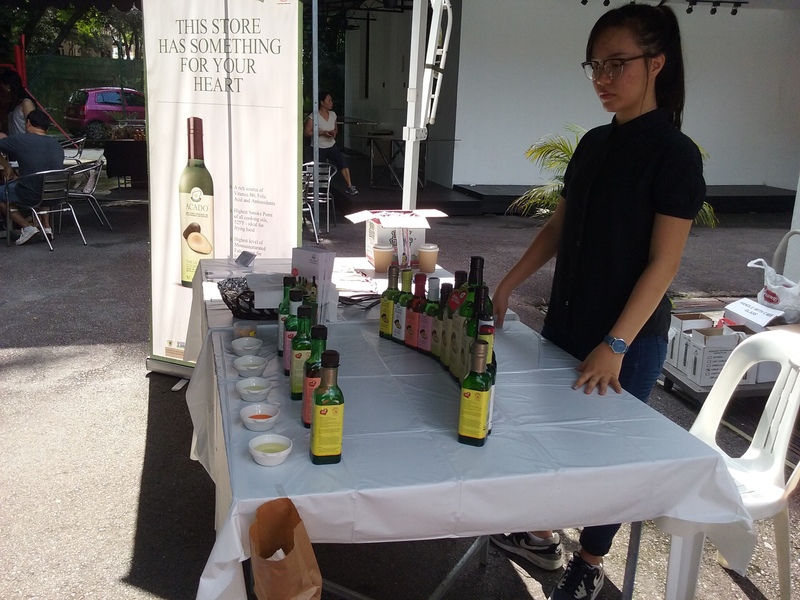 We thank everyone who visited our stall in the marketplace, got a taste of our different flavors and walked away with a sense of what a healthy cooking oil should be like. 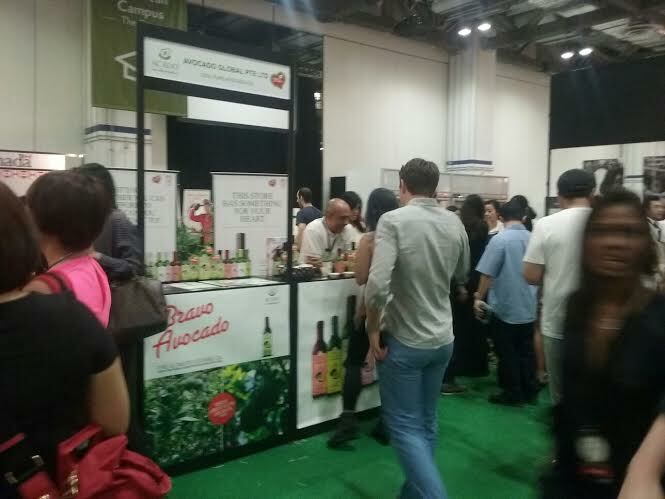 The Epicurean Market 2015, a much-awaited food and wine festival, was held on Aug 14-16, 2015 at the Marina Bay Sands. 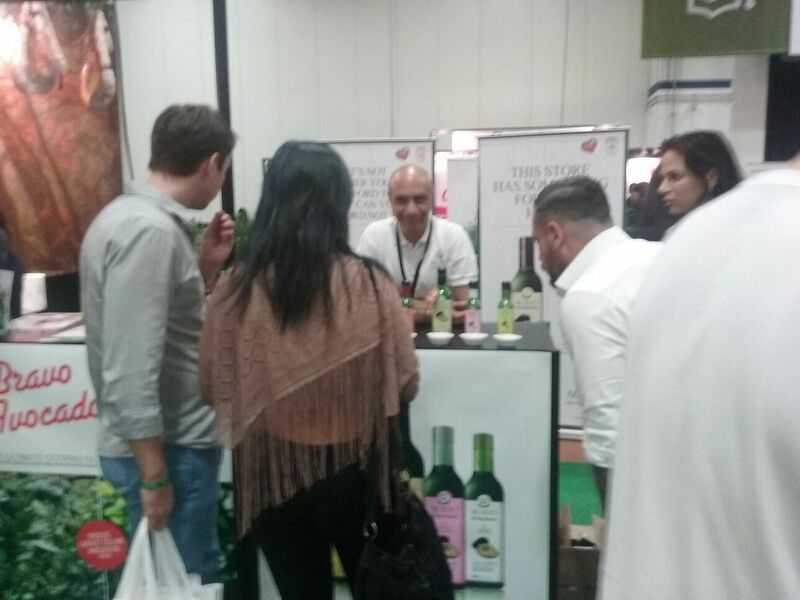 The event offered an eclectic collection of international culinary delights and fine wines during the three palate-pleasing days. 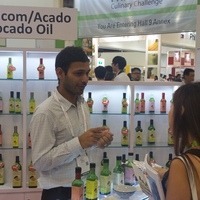 Acado made its presence felt in the Farmer’s Market. 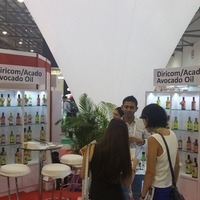 We were pleased to welcome a large number of visitors to our booth and introduce them to the wonderful benefits of healthy cooking with Acado avocado oil. 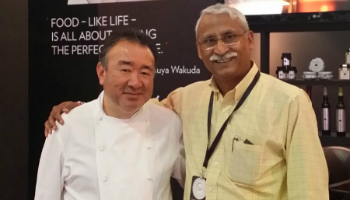 Chef Tetsuya Wakuda, a Japanese-born Australian chef, is renowned for his Japanese based philosophy of using natural seasonal flavors, enhanced by classic French technique and utilizing the freshest possible ingredients. 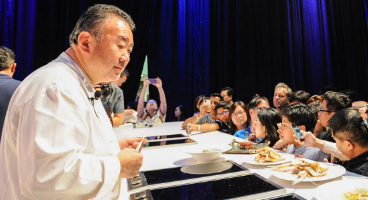 At the recent Epicurean Market, Chef Tetsuya showcased some of his best recipes. 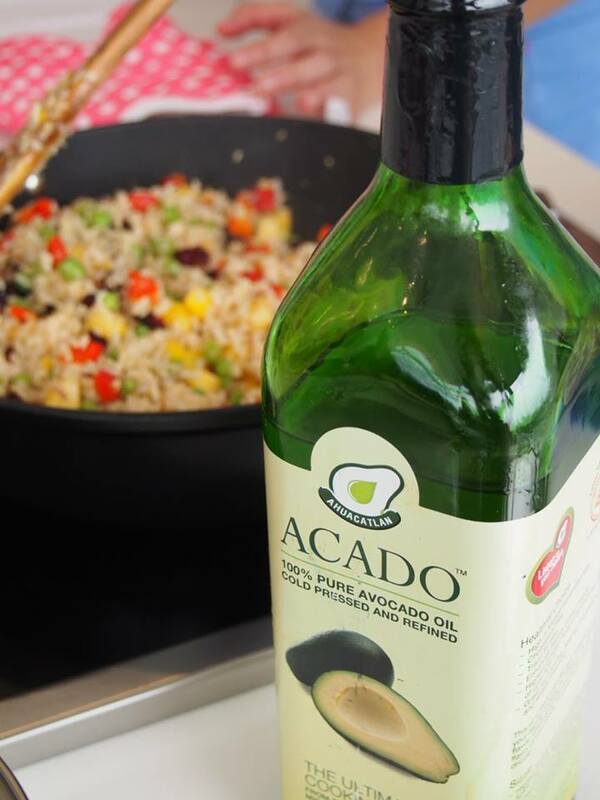 He has been using ACADO™ Oil for several of his personal recipes. 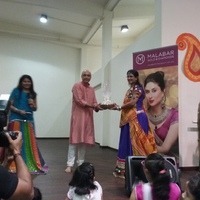 Our Chairman Mr. Pratap Nambiar also met up with the celebrity chef during the event. 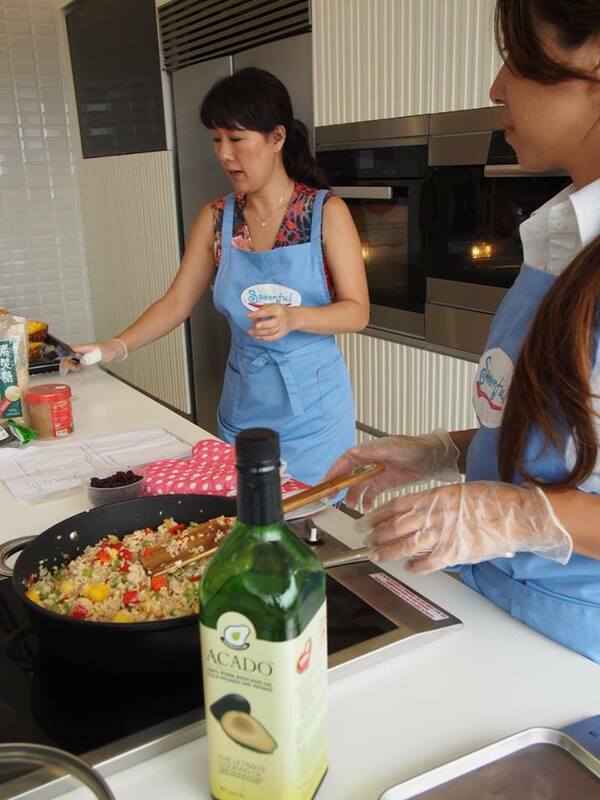 The Singapore Heart Foundation (SHF), formerly known as the Singapore National Heart Association (SNHA), is a non-profit charitable organisation at the forefront of the battle against heart disease in Singapore.